The Healing Place moves to new location » The Healing Place has been ministering in downtown Denver for a number of years. This nonprofit organization has provided food, medical care, Bible studies, and other help for those in need. I received this note from Karen Lewis, who is leading out in this worthy outreach. 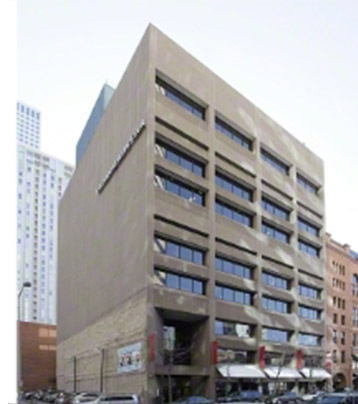 “We are excited to announce our new location for The Healing Place, a Seventh-day Adventist-sponsored ministry located in the heart of downtown Denver. 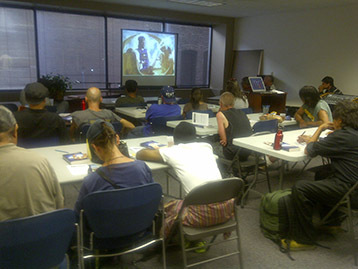 We currently have around 30 poor and/or homeless who attend our Bible study and dinner on Friday evenings. Plans are now underway to expand this ministry to include health fairs, felt-need seminars, and Bible worker training, as well as reaching out to college students at the nearby Auraria Campus. If you have questions, call Karen Lewis at 303.898.0587. MAUC Pathfinder Camporee is a huge success » Last weekend, the Mid-America Union Camporee took place in Custer, S. Dak. More than 1,000 Pathfinders and their leaders set up camp on the Custer High School football field. This was not the original site planned for the Camporee but, because of forest fires in the area, a move to a new location was required. The new location worked out very well because it provided a great venue to have the meetings. Bleachers were used at the stadium for morning and evening worships. There were many wonderful adventure destinations in the area, which the Pathfinders were able to visit during the day. The Pathfinders seemed to have a wonderful experience on the field trips and enjoyed the activities. The highlight of the Camporee was to have the closing meeting at Mt. Rushmore in the amphitheater facing the sculpture of the four presidents. It made quite an impression on me and the other hundreds of tourists present to watch the Pathfinders parade into the venue wearing their Class A uniforms. James Black, NAD youth director, gave a tremendous challenge to the Pathfinders to follow their Savior wherever He leads. Many came forward in response to the Holy Spirit when Black extended an invitation to the young people to put Christ first in their lives. Dan Jackson, NAD president; Tom Lemon, MAUC president; Ron Whitehead, Center for Youth Evangelism executive director; Hubert Cisneros, MAUC church ministries director; and the Mid-America Union conference presidents also gave impactful talks to the Pathfinders at this event. A huge thanks to Don and Chris Hill, RMC Pathfinder coordinators, and all the other Pathfinder leaders around our Conference, for their leadership in providing this great opportunity for our young people to experience. We've posted a gallery of images on our Facebook page. 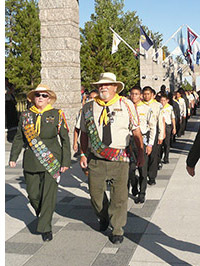 For additional information and to view more Camporee photos, visit Outlook Magazine. 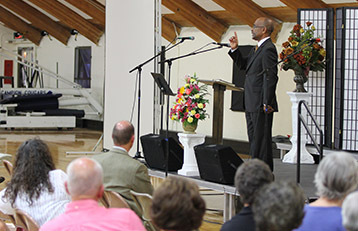 Northeast Colorado Camp Meeting held at Campion Academy » Another wonderful event for our Conference took place last weekend at Campion Academy with Roscoe Howard, spiritual life director for Adventist Health System, and Tito Charneco, a pastor from Texas, as the guest speakers. I heard from many people who said this time together was a huge blessing for them. A big “thank you” to the N.E. pastors who organized this event, and to Campion Academy for hosting it! RMC schools begin soon » This is the time of year when we all are gearing up for a new school year. Let’s keep all our principals and teachers in prayer as they prepare for this incredible ministry for our young people. The registration dates for our academies are: Campion Academy, August 19; Mile High Academy, August 13; and Vista Ridge Academy, August 14, although you can still register your children by contacting the school office after those dates. For information about the registration times at any of our other schools, please call the school directly or the RMC Education Department at 303.282.3650. After spending the weekend with them, my wife, Diane, and I are headed up the road to Nashville, Tenn.,for the North American Division 2012 Teachers' Convention, which will take place there. More than 6,000 teachers from across the North American Division will be gathered for this amazing event. I look forward to reporting more on the convention in next week’s Nuggets. On Wednesday, we drive to Cincinnati, Ohio, for the ASI International Convention taking place there. On Friday, we will return home in time to be a part of the Korean Camp Meeting taking place at Glacier View Ranch. Blessings to all as we once again bask in fellowship with our Creator and Redeemer, and with our church families on this coming Sabbath day. All day Sabbath, Sept. 15, with first worship service at 10:00 a.m.
Sunday, Sept. 16, 10:00 a.m.